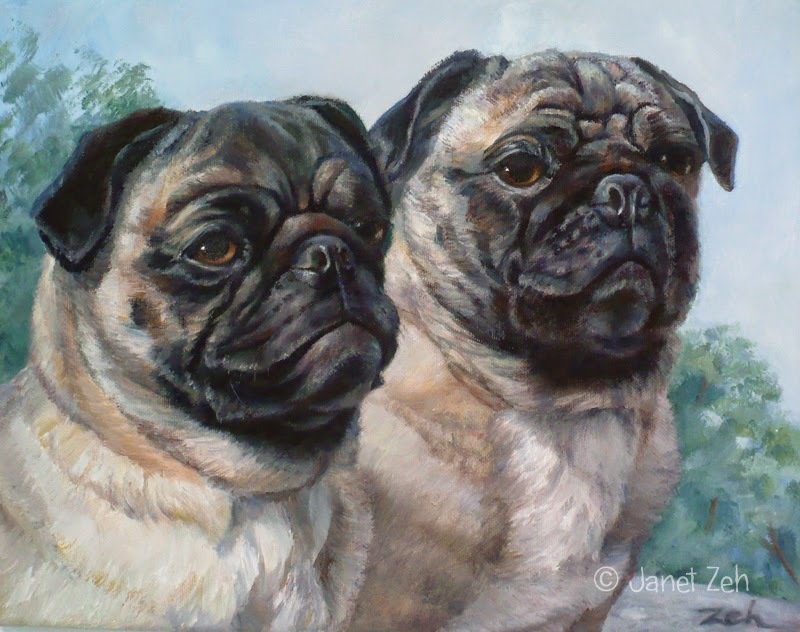 This oil portrait is of two pug brothers. 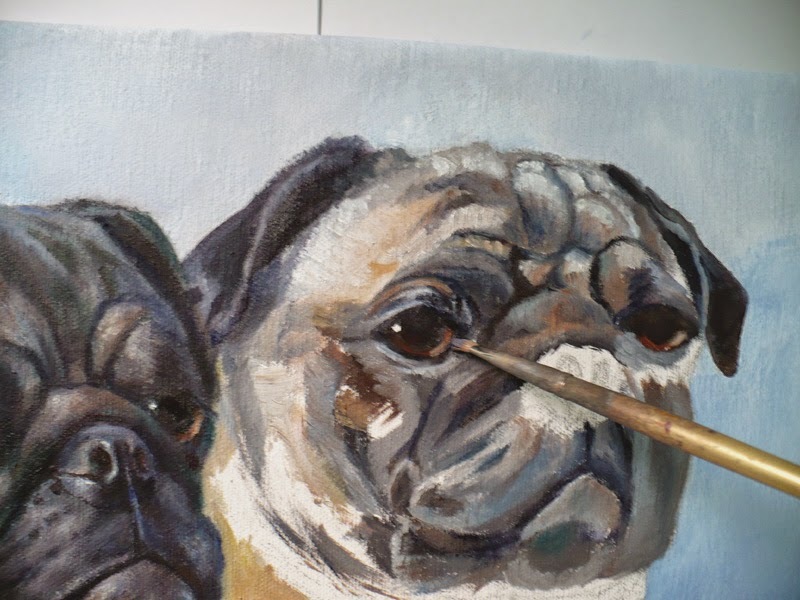 In this post, I paint the one named Horton. 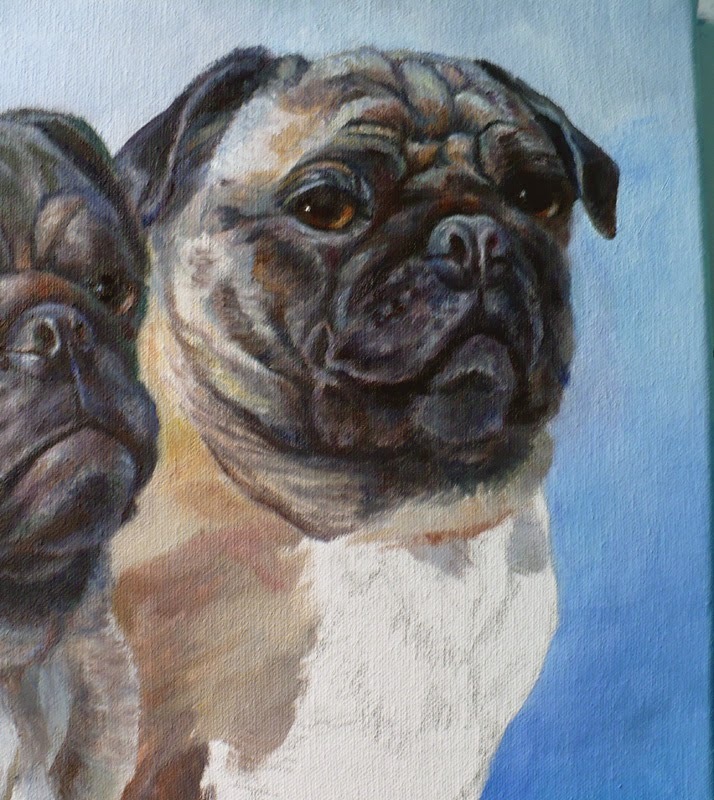 You can see how I painted the other pug, Grommet, here. Horton is so similar to Grommet that I could not tell them apart at first. But their owner showed me how to differentiate them by their forehead wrinkles! Grommet's wrinkles are vertical while Horton has some horizontal wrinkles giving him a slightly worried look - see the image above. He is a fun-loving dog who plays the sidekick to his more serious older brother. 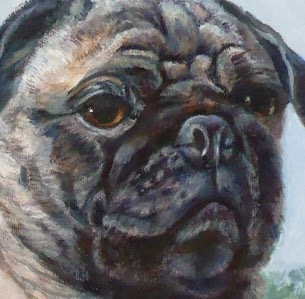 To see how I painted Horton - just read on... or you can skip to the final completed painting here. Then his black nose. 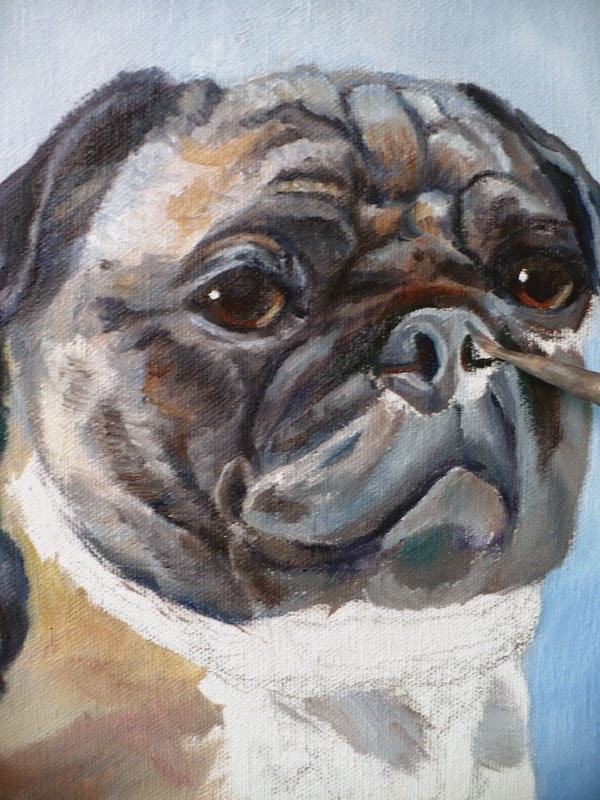 You can see that the fur on his face is not detailed yet so I'll work on that once the nose is done. Finally, I go back over the portrait, adjusting features, colors and contrast and adding any other details that I may have overlooked before. This part takes quite a bit of time. 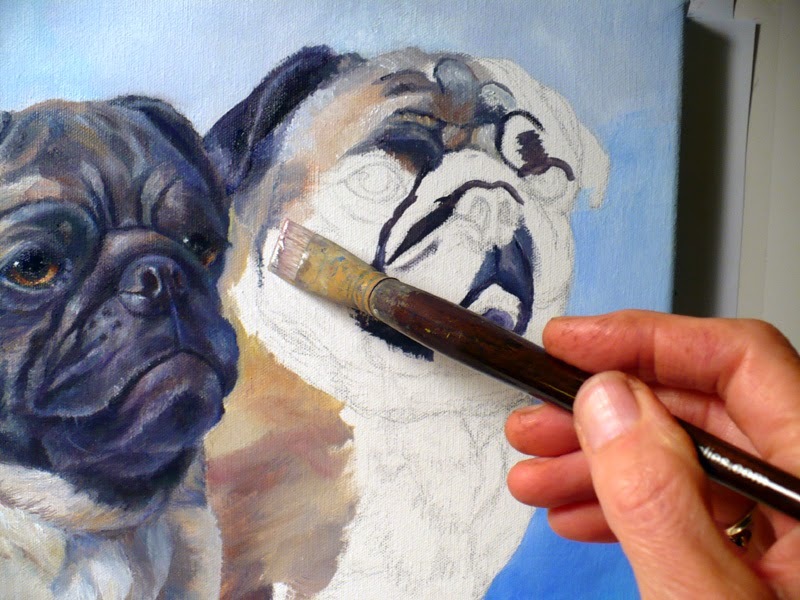 Above is the completed pug portrait - what do you think? I do hope you enjoyed following along!